Makes for the perfect gift for your wedding party! 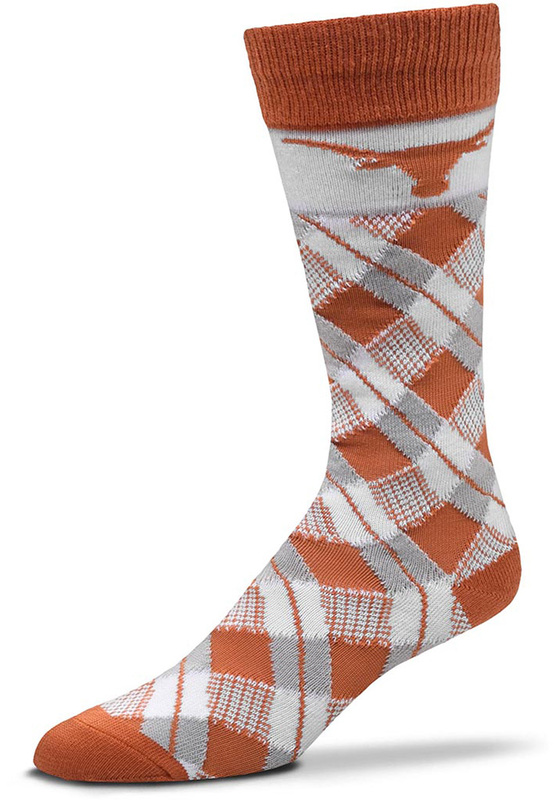 Add some Longhorns spirit to your work work with these Texas Longhorns Burnt Orange Plaid Mens Argyle Socks. These Mens Argyle Socks feature a plaid argyle design in team colors with team logo on top of sock.